I have been visiting Nepal for the past several years. Each year I am impressed by the simple, loving, and appreciative nature of the people I meet. On my most recent trip, I had the pleasure of working with a guide named Lakpa who took me on the Three Passes of Everest trek. While hiking and talking with him, he told me of his eldest daughter who is at the top of her class in secondary school. Her dream is to be a scientist. In Nepal, unlike the USA, study and degrees in any advanced field like this is prohibitively high for ordinary Nepali families. 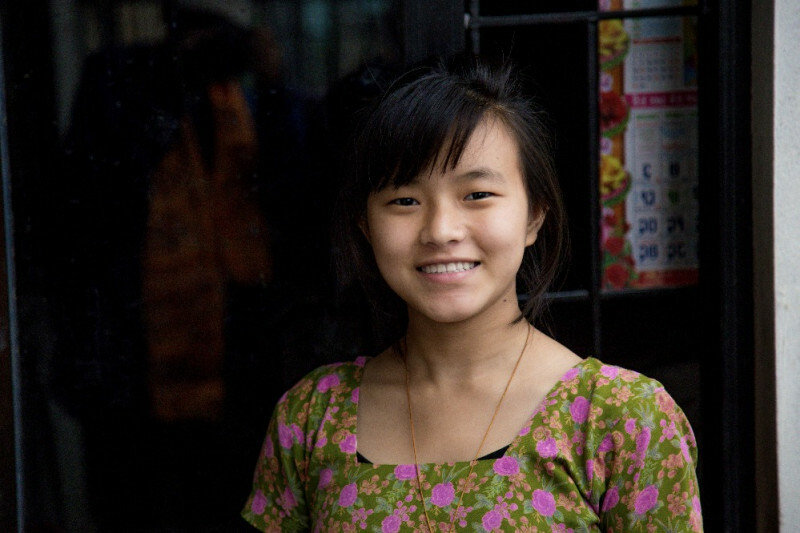 Her family moved from their country home to Kathmandu where better schools are available. She is already attending a private secondary school, but without the help of generous donors an advanced college degree in science may not be possible. Please consider helping this girl attend IT school. Your help will have an impact on her life and the generations that follow. I think of "The Starfish Story" in which the beach is covered with starfish that are washed up on the shore. A boy walking on the beach picks up a starfish and throws it back into the ocean. A passerby asks him what he is doing and how he hopes to make a difference in the world with so many stranded starfish. Referring to the starfish he just tossed into the water, the boy responds that he made a difference to that one. $12,000 will fully fund the rest of Rosina’s secondary education (three years) and four years of college. Please consider making a difference for this young girl. 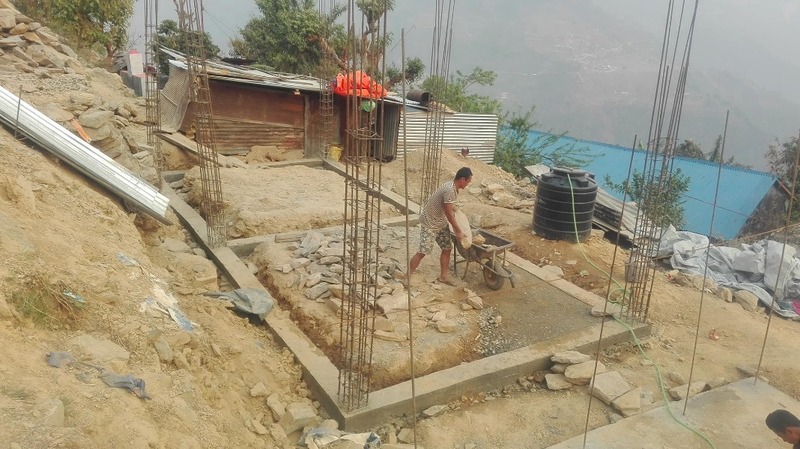 I didn't realize when I created this gofundme page, that Lakpa lost his family home during the 2015 earthquake. He recently was able to begin reconstruction and sent this photo. 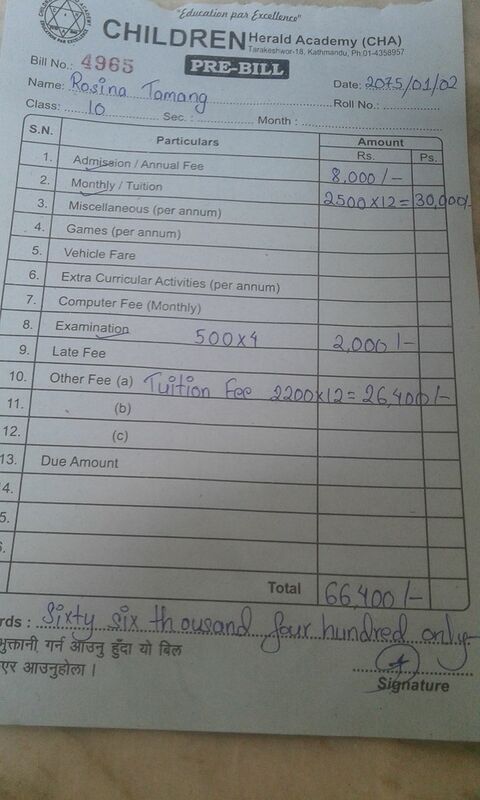 This photo shows the current school fees due in Nepal rupees which equates to about $620 US. May all your heart's truest desires come true!